Labor Day may not be the first official day of fall, but for many it feels likes the unofficial end to summer. While warm days are sure to follow the holiday weekend, they are certainly numbered. Before long the air will turn crisp, the leaves will fall, and snow will be in future forecasts. Take advantage of good weather while it’s here to not only up your home value and curb appeal but also create a comfortable and safe environment during the colder, brisker temps ahead. Check the roof: Heavy snow can prove a heavy burden on a roof that isn’t in tip-top shape. 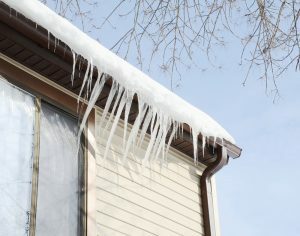 Inspect your roof for holes, loose shingles, or areas that could lead to leaks and ice damming this winter. 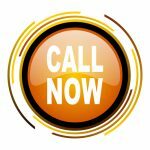 If you aren’t doing the work yourself, hiring a roofing contractor, such as North Shore Home Works, while the weather is still warm will be easier, and likely less expensive, than waiting until the dead of winter. Paint the exterior: Cold, wet weather and paint don’t mix, which means if your home’s exterior siding, windows, or doors need a fresh coat, getting it done while the weather’s still warm is a must. While it may seem like a chore done for purely aesthetic purposes, painting can extend the life of your exterior, prevent termite damage, and decrease the harshness of winter. Let North Shore Home Works know if you’d like an estimate for any interior or exterior painting! Summertime is counting down, so get started now on these must-do home improvement projects. Fall is around the corner, and with it comes it’s own list of seasonal to-dos. Crossing off a few projects now can keep you from feeling overwhelmed–or worse, skipping necessary projects–later. Since its founding over 25 years ago, Menorah Painting has earned a reputation of excellence throughout Chicago’s North Shore. Whether it’s interior or exterior painting, residential or commercial, we back up all of our painting and decorating with a four-year written guarantee and excellent references. Posted in Home Improvement, Interior and Exterior Painting, Posts, Roof Replacement.